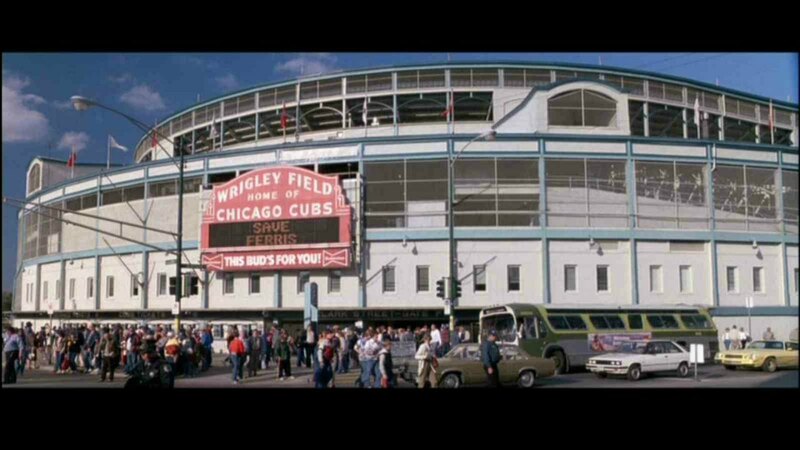 It’s the 100th anniversary of the opening of Wrigley Field, but I’ve already reviewed a lot of Cubs films. This has the one great Cub scene. 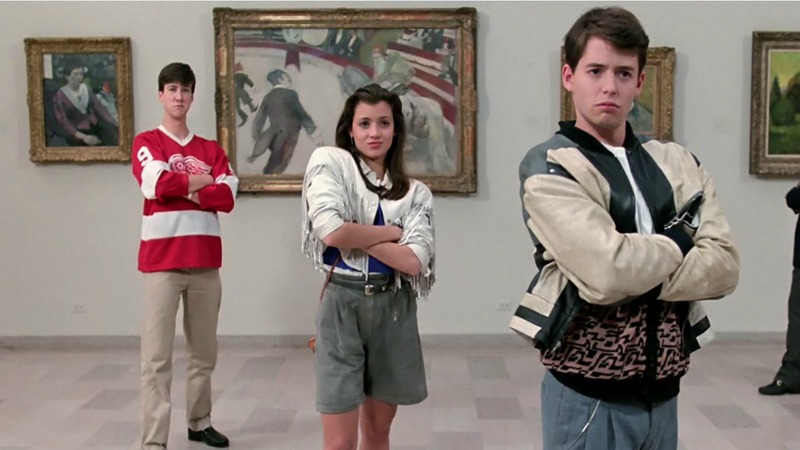 The rare movie that is exactly as good as its reputation, Ferris Bueller’s Day Off is one of John Hughes’ most beloved films for good reason. Yes, the actors are far too old to be playing high school students. That’s it. That’s my criticism. It’s just a hell of a good time. 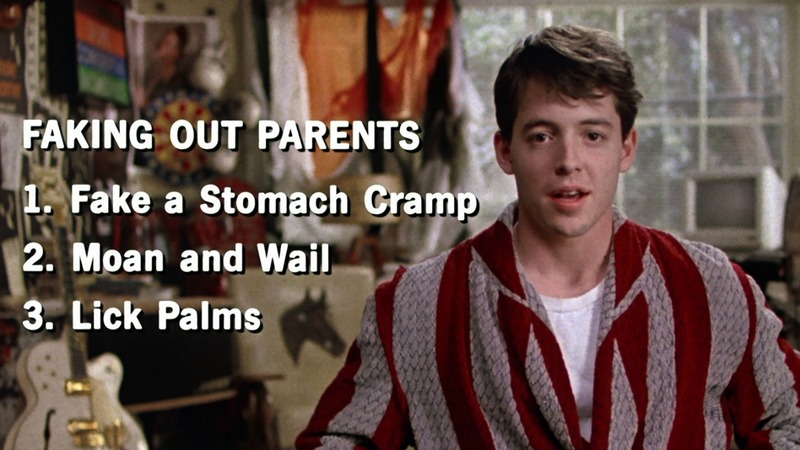 Not as insightful or meaningful as his other teen comedies, it’s a much more straightforward ride. And there’s nothing in the world wrong with that. As is typical in his films, the teens have all the great lines, and the adults are a bit underwritten, but that’s not really a problem for this story. Hughes wrote the screenplay in less than a week! 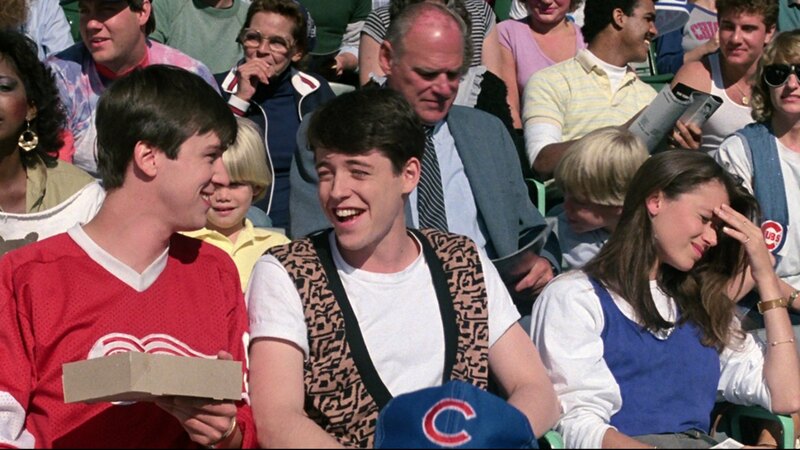 Matthew Broderick is ridiculously charming in what would have been a star-making role – if he wasn’t already a star. As Cameron, Alan Ruck is absolutely fabulous in what was only his third film. The two have a easy-going camaraderie made believable by their previous experience working together on Broadway. Mia Sara completes the trio capably as Ferris’ girlfriend Sloane. Would their roles have been better filled out by alternate choices Emilio Estevez and Molly Ringwald? I don’t think so. The supporting cast is excellent, led by Jeffrey Jones as the Dean of Students. 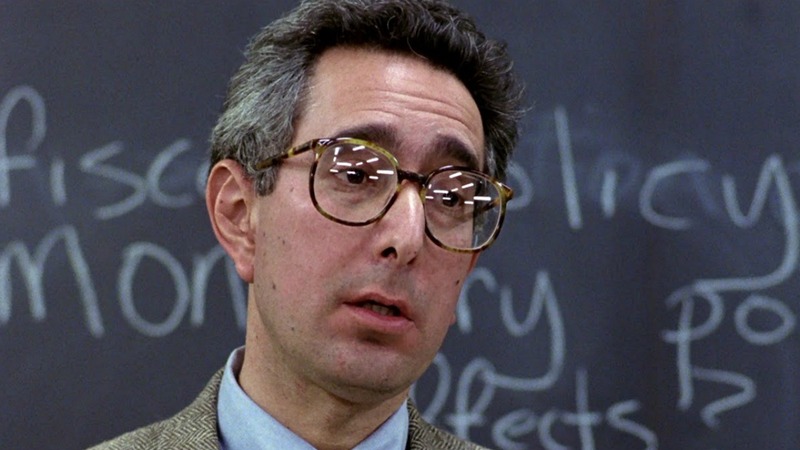 Jennifer Grey & Charlie Sheen are good, but no one approaches Ben Stein’s economics teacher. There are so many quintessential Chicago scenes. The film really is Hughes’ love letter to his city. It’s great when a filmmaker lets their obvious love for a place so deeply saturate their art. A high school wise guy is determined to have a day off from school, despite of what the principal thinks of that. Plot A high school wise guy is determined to have a day off from school, despite of what the principal thinks of that. Tagline While the rest of us were just thinking about it…Ferris borrowed a Ferrari and did it…all in a day.